Now and then, we all worry or become anxious about many things, like work, money, relationships and also our health. And at times, we all notice changes or sensations in our body and we may question if we could have some type of medical problem. Typically, we will then take certain steps to alleviate those concerns. But there is a difference between this general concern about our health and well-being and more serious health anxiety. If you are a person who worries a great deal about health issues, you may have begun to notice that your attempts to find answers for your health symptoms is affecting your life in a negative way. In many ways, mild health anxiety affects most of us now and then. We have certainly all been anxious when we are waiting for the results of a medical test or when we noticed a new bump or lump on our body. So when do normal, mild health concerns actually become health anxiety? It is important to point out that people who are healthy can have health anxiety, so can people who have real but unexplained medical symptoms as well as people who have an diagnosed medical condition. In other words, your physical symptoms may not be “all in your head”. It is therefore important to note that whether or not you have a real medical problem is not the main issue – the main issue is how you are reacting to and managing your symptoms. If you react to your health symptoms with constant, excessive, continual worrying, reassurance seeking, researching or checking, then health anxiety be still be an issue. Relationship with friends and family. Friends and family may become irritated with your constant worry about health despite constant reassurances and negative medical tests. Or, on the other hand, family and friends may also begin to worry about your health, contributing to stress for everyone. In some instances, you may become angry or feel annoyance toward family members or friends for not understanding what you are going through or for not helping you to figure out what is wrong. In addition, time spent pursuing help from professionals and worrying about your health may prevent you from socializing. Relationship with doctors. Constant doctor visits can leave both you and your doctor feeling frustrated. You may feel annoyed with your doctor because your doctor can’t help you or maybe doesn’t believe you. Work or school. Because worrying about and checking for signs of illness is so time consuming, it can have an impact on your ability to focus and concentrate on the task at hand. Frequent doctor visits can contribute to missed days at work or school and constant internet searching about symptoms can cause you to fall behind at school or at work. Finances. Frequent doctor’s visits, medical procedures or diagnostic tests can become expensive. For some individuals, health anxiety symptoms can become so severe that they are no longer able to work, which greatly affects their finances. If constant worrying about your health is affecting the quality of your life and you find yourself not enjoying the things you once enjoyed, it may be time to seek help for your health anxiety. Fortunately, there are ways that are very effective in overcoming health anxiety. Because of the many similarities between health anxiety and OCD, the same techniques that are so effective in treating OCD are also used in the treatment of health anxiety. As a matter of fact, recent studies at both the Mayo Clinic and Harvard University have found that Cognitive Behavioral Therapy is the most effective method of treatment for health anxiety. The primary technique that is used in treating both health anxiety and OCD is Exposure and Response Prevention (ERP) as well as cognitive restructuring in which clients learn to challenge the rationality of their unhelpful health-related thoughts. 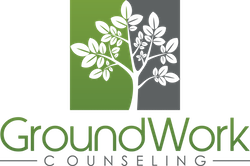 If you are experiencing health anxiety symptoms, and would like more information about Cognitive Behavioral Therapy for health anxiety, contact us at GroundWork Counseling.